May Day, the first day of the month of May, is one of the quarterly days in the traditional Irish calendar. Each of these quarterly days indicates the start of a new season. Spring is marked by 1 February (St Brigid’s Day), autumn by 1 August (Lúnasa) and winter by 1 November (Samhain). There were also folk customs associated with the eves of these festivals marking the seasonal transition. As in much of northern Europe, May Day in Ireland, was a celebration and welcome of the summer. 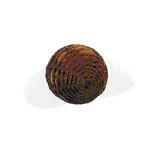 Here, it is rooted in the pre-Christian festival of Bealtaine. Bealtaine embraces the summer, bidding farewell to the dark winter half of the year. Flowers, dancing, and bonfires featured strongly in the festivities. People also sought protection for themselves, their homes and livestock against supernatural forces. May Day was regarded as the symbolic start of a busy season of farm work. People worked in the fields focusing on the care of animals and their movement to different pastures. There was also an emphasis on fishing for example for salmon. It was a busy time for markets and marts in order to sell animals and at this time seasonal labourers were hired. The important job of cutting turf in the bogs also started in earnest around May Day. 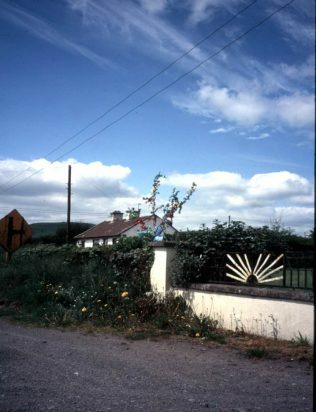 The May Bush was a decorated bush, which in rural areas was left outside the house. 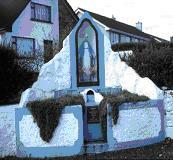 In towns, it was erected in a communal place. Sometimes it was carried about the area by groups of adults although later this custom was carried out by children. 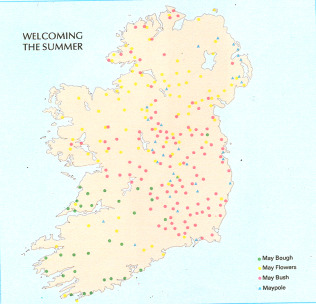 Geographically, the tradition was strongest in Leinster and the Midlands, stretching west to Galway and northwards to south Ulster and Donegal. The bush was often of hawthorn. 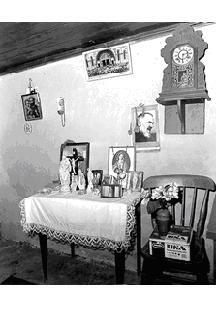 The decoration usually consisted of ribbons, cloth streamers and perhaps tinsel. Sometimes the leftover coloured eggshells painted for Easter Sunday were used as decorations. May Poles were popular in some large towns and possibly indicate a certain English influence. In this festive way communities welcomed in the summer. 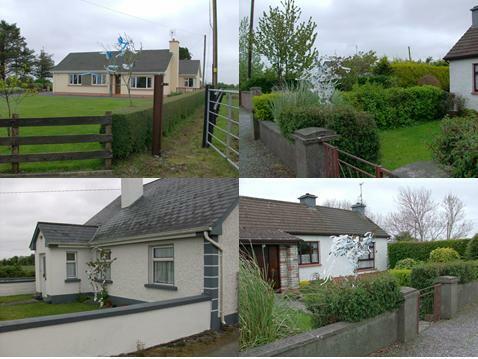 There were May poles in many towns, such as Kilkenny, Mountmellick, Kildare and Longford. There was also a strong tradition in the north east of Ireland, such as in Hollywood, Co. Down. Originally tall trees were used but later these were replaced by formal poles erected in the town centre. They were decorated with flowers and ribbons and like in England, where the tradition was more widespread, dancing and sport centred around the pole. 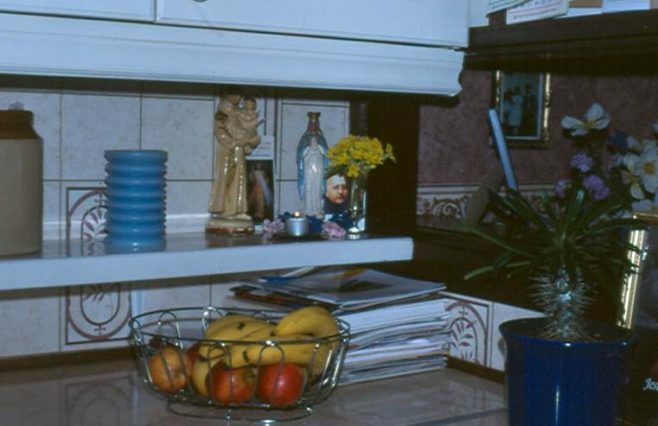 The flowers were placed on the doorsteps of houses and on windowsills. They were believed to offer luck to the house and offer protection from mystical forces – there was a strongly held belief that these were particularly active around the quarterly days. It was believed that the fairies could not enter the home as they could not pass such sweet smelling flowers. Children often carried baskets of flowers and strew them in front of their neighbours’ homes as a gesture of goodwill and good luck. in meaning to the expression of being ‘between a rock and a hard place’. Driving cattle through the embers of May fires was undertaken to gain their good health for the coming year. 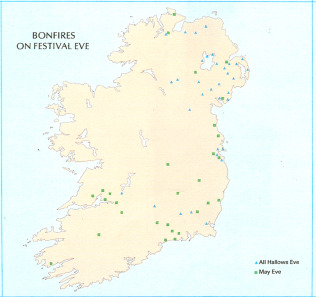 Bonfires were a feature of May Eve throughout Europe but the tradition survived mainly in the east of Ireland and in parts of Munster. Although there were small local and family bonfires to ensure good luck, the tradition of larger communal fires survived especially in the cities, e.g. Limerick and Belfast. In the west, the bonfire night was most celebrated on St. John’s Eve and elsewhere Halloween was the night for fires. Dancing was a feature of May bonfire celebrations. It also featured around the May Pole or where communal May Bushes were burnt. This was a time for celebrating the continuity of the community. The customary dance involved the men and women joining hands to form a large circle with a dancer weaving in and out of the circle under their arms and collecting other dancers to follow after them. This has been described as representing a winding serpent and as representing the movements of the sun. It is similar to the children’s game In and out go the dusty bluebells – these blue flowers were also traditionally picked in May. May Day was especially associated with butter stealing: the stealing of the butter profit of the home. The cows were safe-guarded through attaching flowers around their heads and sometimes red ribbons or bits of rowan were tied to their tails. This was believed to offer them protection from the malign glance of those with the evil eye.The churn was especially vulnerable at this time so often similar items or iron objects were placed underneath it. “When gorse is out of blossom, kissing’s out of fashion”. ‘Dr Anne O’Dowd, National Museum of Ireland, Green rushes under your feet! Spreading rushes in folklore and history, Béaloideas 79, pp 82-112. This site has been invaluable for me. I have written three books for The History Press and quite often comment on places and customs on radio. Thank you for the marvellous information.